Manchester City are looking to be the first Premier League side to retain the title since 2009. "The Citizens became the first top-flight English side to accumulate a century of points, finished 19 points clear of the pack – the widest winning margin in Premier League history – and wrapped up the title with five games to spare." The Premier League favourites have taken top honours in nine (50%) of the past 18 seasons this century and Manchester City have been chalked up as skinny [1.71] jollies to retain their crown come May. Trend followers will point out that England's top-tier title hasn't been retained since 2009 but few could argue that Pep Guardiola's charges don't deserve their place at the peak of the Outright Market having strolled to gold last time out. 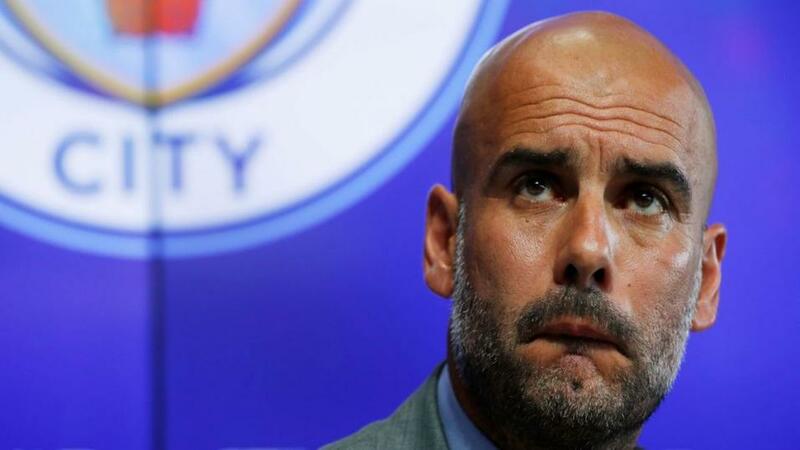 The Citizens became the first top-flight English side to accumulate a century of points, finished 19 points clear of the pack - the widest winning margin in Premier League history - and wrapped up the title with five games to spare. As well as an 18-game winning streak, City scored the most goals, conceded the fewest, failed to score just once and claimed victories by a margin of four goals or more on eight occasions. The summer arrival of Riyad Mahrez and the return of Benjamin Mendy should only serve to strengthen the Sky Blues. Liverpool scored 11 goals whilst winning their last four fixtures against Manchester City and should be afforded the title of 'best value bet' to topple Pep's posse in 2018/19. The Reds are rated a [5.10] play to claim their first top-flight crown since 1990. A dreadful start - failing to win six of their opening nine games - and a Champions League campaign that resulted in a runners-up medal meant Jurgen Klopp's troops were rarely threatening the pace at the top of the table last term. However, the Merseysiders are targeting topping the Premier League tree now. There's no doubt a lavish spending spree that's seen Alisson, Naby Keita, Fabinho and Xherdan Shaqiri pitch up at Anfield will bolster Liverpool, and with their fab front three of Mohamed Salah, Roberto Firmino and Sadio Mane still in situ, there's plenty of reason to believe the Reds may be in the hunt come May. 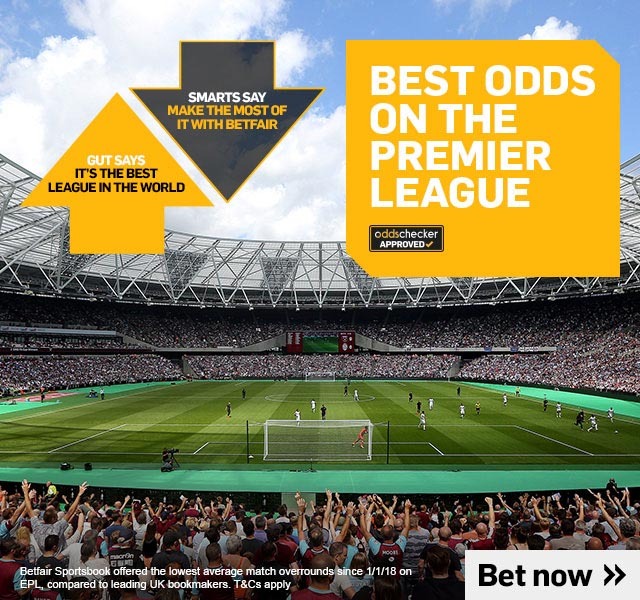 Even so, Klopp has registered two successive fourth-placed finishes and may struggle to transition Liverpool into the title reckoning immediately and so the preferred punt is to back a Manchester City - Liverpool Straight Forecast at [3.85]. With both Man City and Liverpool appearing shoe-ins for a Top-Four Finish, it's left to Manchester United, Chelsea, Tottenham and Arsenal to battle it out for the remaining two Champions League berths. The Red Devils are perhaps the most vulnerable at short [1.53] quotes. Jose Mourinho's men vastly overperformed according to the Expected Goals data with goalkeeper David de Gea scooping the club's Player of the Year gong for another momentum campaign between the sticks at Old Trafford. Only six sides faced more attempts from inside their own penalty box and should the defensive displays regress to the mean, United could find themselves sinking in a highly competitive battle for a top-four finish. And that's without mentioning Mourinho's ongoing feud behind the scenes over a lack of transfer activity. Chelsea [1.88] are an unknown quantity under Maurizio Sarri. The signing of Jorginho promises plenty and at the time of writing, the Blues have kept hold of all their significant stars. The capital club were champions at a canter only two years ago and shouldn't be discounted after an inconsistent campaign under Antonio Conte. Mauricio Pochettino has steered Spurs to three successive top-four finishes and the excellent Argentine can keep Tottenham [1.84] entrenched in the Champions League qualification spots. London's top club in 2017/18 are moving to their new stadium and should find picking up points easier in familiar surroundings back at White Hart Lane. Last term Spurs accumulated the second-best away points tally and so only minimal improvement as hosts should cement their place amongst the leading lights. Arsenal [2.88] start a Premier League season without Arsene Wenger in charge for the first time since 1996/97 and it may take time for Unai Emery to make his mark at The Emirates. Lucas Torreira, Sokratis and Stefan Lichtsteiner should all improve the Gunners but there's little to appeal in the ante-post prices. And the most obvious play is to lay Manchester United at [1.54] in the Top-Four Finish market. Newly-promoted Cardiff [1.65] are the market leaders following their minor miracle of securing promotion from the Championship. The Bluebirds' attritional style under Neil Warnock is unlikely to win over neutrals but Huddersfield and Burnley have upset the odds by surviving and the Welsh outfit make little appeal at the prices. Huddersfield [2.10] survived despite scoring just 28 goals last term - the joint-fewest from a side to stay up in Premier League history - failing to score in 21 of their 38 matches. The Terriers won only three games after Christmas and even the inspirational David Wagner may struggle to keep them afloat this time around. Watford [3.35] have spent three years knocking around the bottom-half of the Premier League and the layers believe 2018/19 is the year the Hornets drop back down to the second-tier. However, the Hertfordshire club have never been embroiled in a relegation battle under the Pozzo family and Javi Gracia has proven himself as a fire-fighter with Malaga in Spain. Neither Wolves [9.40] nor Fulham [3.85] are expected to make an immediate return to the Championship, Brighton have [3.55] recruited shrewdly in the summer and so Newcastle [5.60] may prove profitable as a speculative selection in the Relegation market. The Toon Army performed the best of the promoted trio last term but were rarely eye-catching in a division shorn of quality outside of the top-six. The 2018/19 renewal looks stronger on paper and the Magpies may struggle to match last season's exploits without major investment. Rafa Benitez remains at loggerheads with owner Mike Ashley, and although Yoshinori Muto and Solomon Rondon have been added to flesh out Newcastle's attacking options, their remains a worrying lack of inspiration in the squad. Defence is the Toon's strong point and should Benitez opt to walk away before his contract expires at the end of the season, the Tyneside team could be facing a treacherous term ahead. Mohamed Salah waltzed away with the Premier League Top Goalscorer crown at odds of 66/1 last term and the award for the top-flight's top marksman may stay in Anfield with Roberto Firmino favoured at handsome [30.00] odds. The Brazilian ace may not have gotten close to his team-mate on domestic duty but the central striker did notch 11 goals in the Champions League, the same as Salah. His attributes make him crucial to Jurgen Klopp's approach and so there's no reason why the Reds forward can't improve on his 15-goal tally. Only Manchester City scored more goals than Liverpool last season and the goal-hungry Merseysiders appear stronger across the board coming into 2018/19. Meanwhile, a 100/1+ shot has placed in the Top Goalscorer market in 11 of the past 16 seasons, dating back to 2002/03. And remarkably, a player from a non Big Six club has placed in every Premier League season bar one (2008/09) so it may pay to look down the list of candidates. Cenk Tosun [160.00] fits the bill. The Turkish striker was signed by Sam Allardyce in January for around £27 million but took time before adjusting to life at Goodison Park. Five goals in 14 appearances may not appear too threatening but all five goals arrived after March and the centre-forward averaged a goal every 157 minutes during his last two seasons at Besiktas.